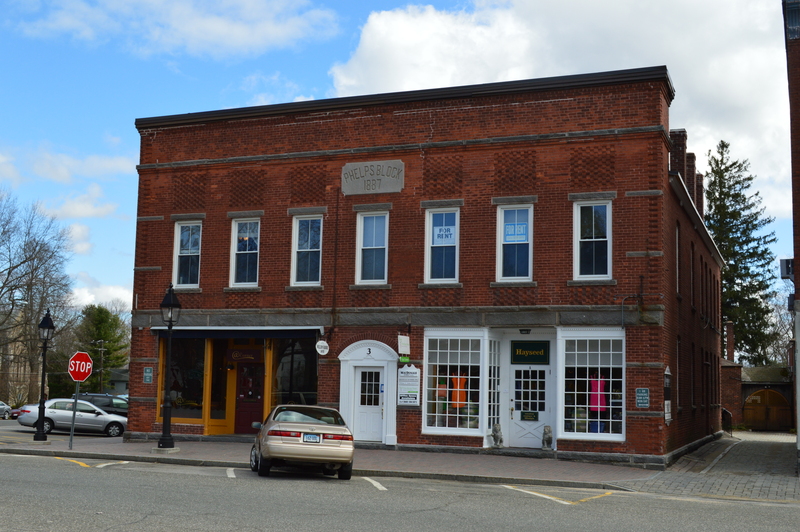 Litchfield’s great fire began at 1:30 a.m. on June 11, 1886 in Moore and Maddern’s General Store, which stood on West Street next to the Mansion House, a large hotel on the corner of West and South Streets. A New York Times article reported that “the flames spread rapidly, there being no adequate means of fighting them.” The fire, which burned both down South Street and West Street from its origin, was extinguished only when it had burned all the flammable structures it could reach. Ruins of the Mansion House. The Litchfield Historical Society. 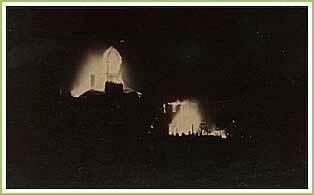 West Street ablaze, 1886. The Litchfield Historical Society. 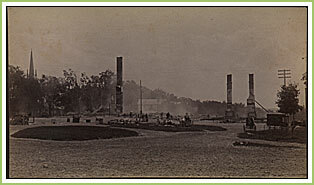 The court house was also destroyed, although the county records were saved. Thirty feet west of the court house stood a brick building. Here the westward progress of the flames were halted. The town’s business district was described as “simply cleaned out.” Estimates of the cost of the destruction ranged between $60,000 and $200,000, an amount that, adjusted for inflation, would be in the tens of millions of dollars today. The town received an ultimatum that the court house be rebuilt, otherwise judicial proceedings would be moved to New Milford or Winsted. A new court house was constructed at a cost of $13,000. Tragically that court house was destoyed twenty-six months later when another fire swept the town; this one began on the lower end of West Street and burned up to the court house. Town fathers immediately revoked all building permits for wooden structures and rebuilt the business district. The Mansion House was replaced by the Phelps Block, built by merchant and real estate developer Eugene Phelps. With five shops on the ground floor and an opera house on the top, it was the crown jewel of the rebuilt town. 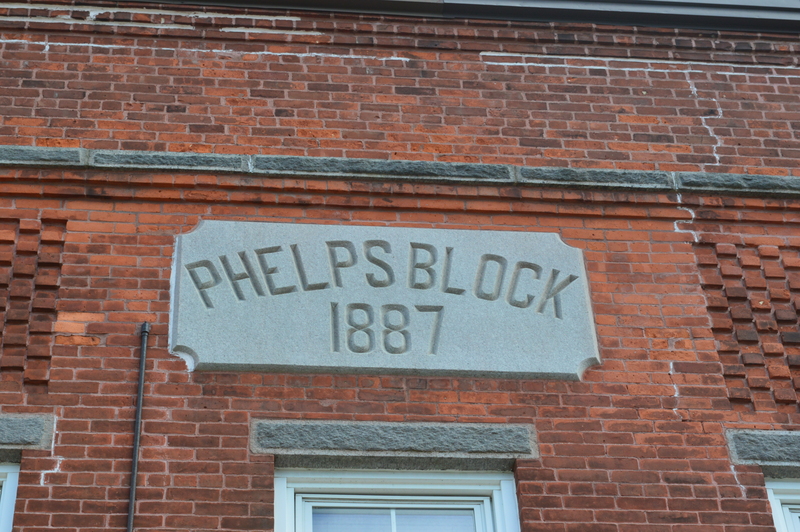 The stone carved “Phelps Block 1887” still bears witness to the town’s recovery from the fires. I have a picture of the Phelps Block building from around 1919 and there is what looks like a third floor with a very different roof line. What happened?